I've got several posts lined up to run after finals next week. In the mean time there are new posts and MP3’s over at my preaching site (which is where most of my creative energy has gone the last 3 weeks). If he had just gotten up there and sung the new album without regard for our passion for the old stuff, it would have struck me as self involved marketing. But it was impossible to feel that way with all that went into crafting an experience of his new music. It held together as an intentional and cohesive piece of art. As much as I would have loved to hear “The Wasps of the Palisades” or “Cashmere Pulaski Day” they would not have cohered with the show he crafted. He was not playing a set. He was telling a story. In a sense, he was performing a single, two-hour, piece that he had prepared for us. It felt special. They Are Night Zombies!! They Are Neighbors!! They Have Come Back from the Dead!! I have mentioned before in this blog that the art I tend to resonate with finds generality in specificity. In particular, I love art that can find something as broad as ‘human nature’ in a very particular sense of situatedness. This is why I enjoyed Garden State. This is why I loved The Wire. And this is why Illinois is one of the greatest albums of all times. Illinois generates the emotion of a Midwest upbringing that connects with our humanity in a study of similarity and contrast. Intentional spatial locatedness gives his work a surprising generality. 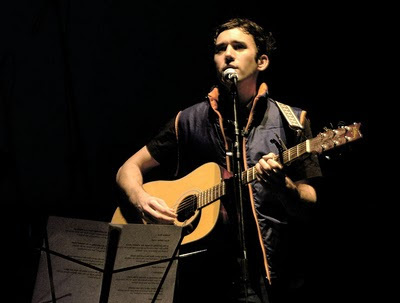 Sufjan writes about whatever he thinks or experiences. So he writes about Jesus and being a Christian and stuff. I, obviously, love this, because, well, I am also interested in Jesus and being a Christian and stuff. After the applause someone yelled ‘Praise Jesus’, which was quickly followed by someone else shouting ‘no.’ I loved this exchange (particularly the latter part) because it demonstrates the difference between an artist who is a Christian and a Christian artist. 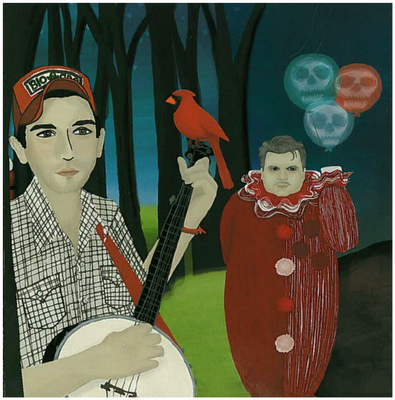 We do not own Sufjan. He is not ours in a way that a Christian act is. We have not claim of ownership on him. So he is free to do art, and not just produce a commodity for a niche community. It also demonstrates that there is not an insidious anti-Christian bias in the music industry. If Christians make great art, they get to make it about whatever they love. He closed with what I would consider his three most theological songs from Seven Swans and Illinois…culminating in his most controversial and most haunting piece: “John Wayne Gacy”. Gacy (who grew up in Illinois, hence, the tracks appearance on that album) was a famous serial killer. Known as ‘the clown killer’ he lured boys into his orbit, and then did unspeakable things…eventually collecting their bodies under his porch. The song hauntingly describes the crimes. Amanda, Tyler the winemaker and his wife Byranie. 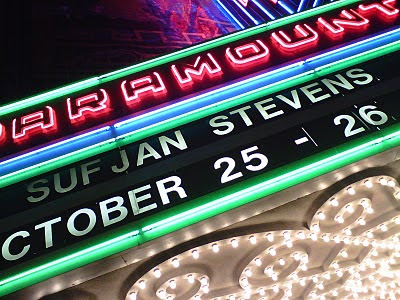 He described the mood and themes of the new work as ‘cosmic’ and ‘processed based’ which is exactly the opposite of why I love Sufjan, which is universal story telling through the vehicle of the very, very particular (see "Why I love Sufjan #2). 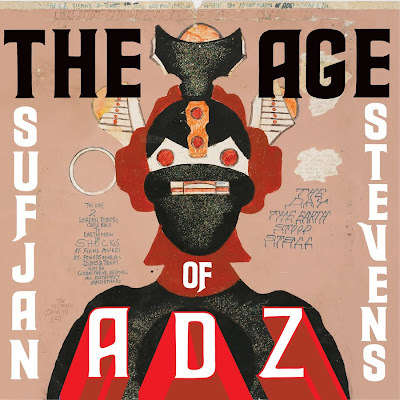 For the record, I hope he is not done with albums like Illinoise or Seven Swans…but I think The Age of Adz is a win. Which is ironic (ITWIHACTIK) because he sees this album as a departure from his fundamental nature as a lyrical storyteller, but the reason he couldn’t sprinkle older works into the concert is because it would have destroyed the continuity of the narrative structure. 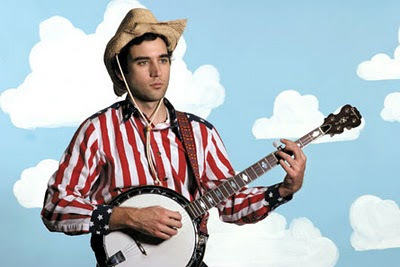 Which has mostly gone defunct since Sufjan revealed that the 50 states project was either a joke or WILDLY optimistic. When the steal mills were shutting down in the 70’s someon actually put a sign up that said this on I5 on the way out of town. There is a wildlife refuge in Western NY called Monazuma’s wildlife refuge. I-80 passes through it. It is overrun with the invasive purple lustrife. From Rob Bell’s Velvet Elvis. I think that sentence set a record for illicit comma use…but I cannot deconvolve the good ones from the imposters. The title track and a sort of homage to a complicated man who seemed to act as his muse for this album: an isolated, poor, bipolar sign painter from Mississippi who became too enveloped by an alternate reality to be able to live in this one. Apparently most of the cover art and a lot of the art used in the video portion of the show was his. Nor would most Christian labels have him as his latest album contains a couple (gasp) F-bombs. I am not entirely sure how we got here where an artfully used explative is more offensive than derivative art. Well, I know it is quite a bit more complex than this. But this idea plays in the discussion. A good sign of an epic song. And I think the video underscores this.